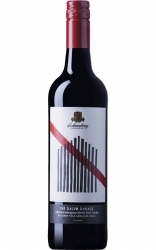 Longview is a family owned vineyard located near Macclesfield in the Adelaide Hills region of South Australia. The first commercial vintage was in 2001, with Longview having a fast growing reputation for producing high quality wines across a number of diverse varieties. The driving force being Longview are brothers Mark and Peter Saturno who after spending time in New York came back to their native South Australia to develop Longview not only as a winery but a tourist destination in it's own right. Longview is located on the South Eastern Ridge of the Mt Lofty ranges, with the undulating vineyard providing a great opportunity to grow both premium white and red varieties. 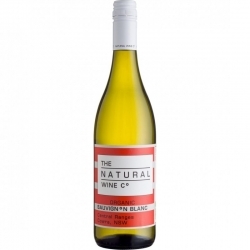 The northern slopes are planted with red varieties, and the southern white, with the ability to have distinct climatic differences within the one estate a great advantage. 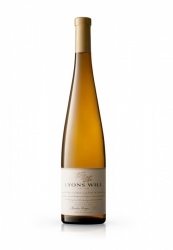 All of the wines produced by Longview are made using Estate fruit, with each block managed and vinified according the location and vintage conditions, with portions blended before bottling. 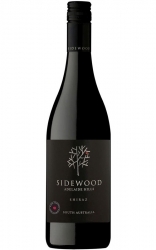 The Adelaide Hills wine region is one of Australia's premium cool climate sites that incorporates the Mt Lofty Ranges, the region is known for it's diurnal variation in terms of temperature that is conducive to the creation of elegant wines. Longview Vineyard is a little warmer than other Adelaide Hills' sites but its wines are still decidedly cool climate in style showing restraint and finesse without sacrificing depth. 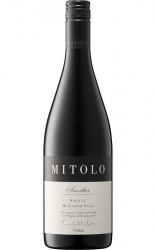 Longview have a focus on Alternative Varieties that is driven by both the climatic conditions of the Adelaide Hills, as well the Saturno family paying homage to their Italian roots through plantings of Barbera and Nebbiolo. Longview are not trying to replicate some of the great wines of Italy made with these varieties, but instead follow similar traditional processes and let the vineyard differences between Australia and Italy speak for themselves. The other exciting development at Longview is the planting of the Austrian variety Gruner Veltliner, there are plantings of three different clones from Austria with the first vintage expected in 2013. The wine is expected to showcase the varieties natural acidity and ability to be matched with food. The wines are crafted by Ben Glaetzer, the multi-award winning winemaker from Glaetzer wines. The winemaking philosophy is to create wines that are food friendly and wine that showcase the exclusive use of estate fruit. Starting in January 2011 and continuing annually people are invited to the vineyard to witness creation as 4 street artists vie for a chance to be featured on the label of Longview’s ‘The Piece’ Shiraz. Accompanied by beats and break-dancers these professional artists craft individual pieces that Longview’s visitors can literally be a part of as they watch the modern masters at work and vote on the piece that excites them most. Longview, apart from making some great wine, also have onsite accommodation and serves as a stunning wedding venue, or lunch destination. Additional details are available from the Longview website. The Longview range provides excellent quality wines that are true to varietal and region, this will be a winery to continue to watch over the next few years.